Description: TSAL041 - Leashed Power Italian Marble Statue - Leashed Power is one of those outdoor lion statues that put all other statues to shame. Made from fine Italian marble, this will make a great addition as garden sculptures or as an extraordinary garden ornament or even as interesting lawn sculptures. You don’t even have to do much for these antique sculptures. 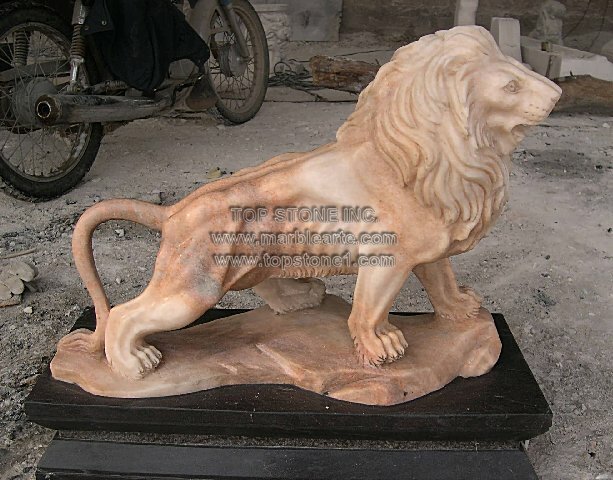 Just set this lion garden statue anywhere you feel comfortable. So go ahead and buy this marble statue today from marble statues wholesale and start enjoying the regal splendor that it emits.